Why Cheat India is based on a fantastic and a shocking plot. A lot of research has gone into the making and it shows. Sadly, the direction and screenplay play spoilsport. The execution is incoherent and as a result, one doesn’t feel involved into the film. The narrative also jumps places and several developments catch viewers unawares, prompting viewers to ask ‘Why’ and also ‘How’! A few scenes thankfully stand out and are very interesting to see. Also, Emraan Hashmi’s performance is splendid. It’s fun to see him playing such immoral characters, which has always been his forte. He being the only known face in the cast, he has a huge responsibility and he ensures viewers get their money’s worth, to an extent at least. Shreya Dhanwanthary makes a confident debut. Snighadeep Chatterjee has a very important part in the first half and excels. Manuj Sharma (Bablu) is decent and adds to the fun element. Others are okay while songs are all forgettable. The latter is also quite saddening since Emraan once was known for hit music score and this film doesn’t have that. 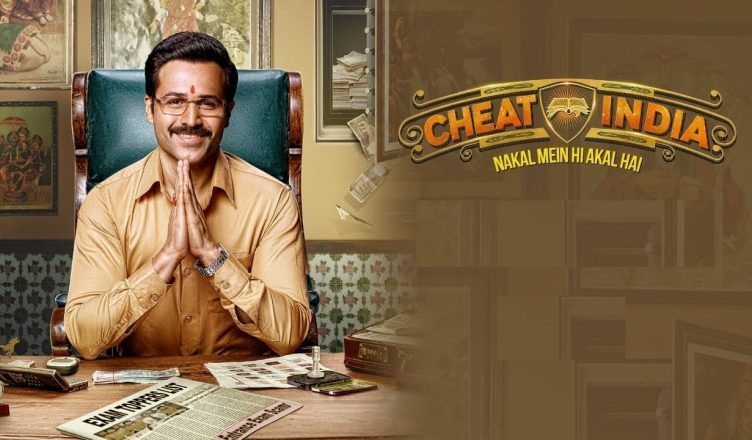 All in all, Why Cheat India is a disappointment and if you are not interested in the rest of the releases and if you are desperate to see Emraan Hashmi on screen, only then you should go for it.